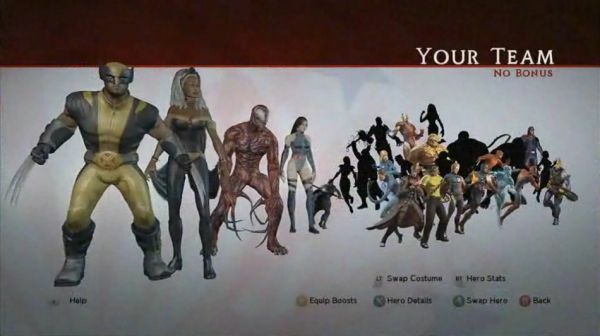 This week we found out about Carnage as the first downloadable character for Marvel Ultimate Alliance 2, and Gamespot's latest video confirms the next character as Psylocke for the Xbox 360 and PlayStation 3. But it's what appears at about 6:40 into the video that really caught our eye when characters Magneto, Cable and Black Panther are clearly visible of those available to place in your team. From what we can tell this is more or less confirmation that those three characters should also be available as DLC in the near future. Thanks Psyclops for the tip! Page created in 0.4764 seconds.